I’ve realised, I’m not very good at starting these blogs. How do I make them interesting enough to secure a broader audience. I could go political, but that’s old news. Brexit is broken, but everyone knows that. Trump is an imbecile but opinion is divided and I don’t really have the right to comment. Teresa May is the most ineffective Prime Minister since ……………… her predecessor. But, that is quite clearly because Brexit is broken. So, the political angle doesn’t work. I could preach spirituality, but that could lose as many people / person as gain anybody. What do I know about spirituality anyway. Or about ‘special ‘ signs of being a chosen one. I see 14:44 on the clock a lot, but I also see 13:40 as often. I read about the fifth dimension and clearly I am not an ascended grand master flash of the overload brethren from the outer galactic reincarnated version of an angel with a dirty face. I know my mission, it’s written in the bars. So, a spiritual route might not work. Joking apart, I have a real respect for those who follow a genuine spiritual path for the betterment of themselves and to create a better planet. I understand the place of peace that they create and seek to share to help others. There’s always music. Now I could write about the joy of music. Regular visitors know my love of music. This year has seen many music related highlights for #TeamDurky. We are lucky. I guess the love of music is part of what makes me the person I am. Mmmmmmm, now, is this the start of the plot to the blog? Follow me as we open the lid of my mind and find out. It’s strange how the blogs have morphed from their starting point of analysing why white feathers are scattered before us as we walk. A moulting bird to you might be a guardian angel to someone else. Who am I to question either perspective? For a while, I deeply wanted to believe a guardian angel was with me but no angel would have walked me into the hell that followed. And, well, now #TeamDurky provide my angelic protection. The blogs then moved into shamanic journeying and wise words from the big chief. Again, who am I to question people’s desire to believe in such things? I now question my own reasons for following that thinking for a time. Reality or desperation? I like my reality now and the closest I get to sham………… is a shami kebab as part of my Friday Night Dinner. That does mean I disrespect others’ views. We then went a bit dark and a bit bitter. I make no apologies for some of the anger. At that time in our lives there was good reason for anger. But, that was then and this is now. As easy as ABC. Am I angry now? Hell, yes! Leeds Utd lost yesterday, I’m trying to find money to see AHa when they play Leeds, Leeds Rhinos haven’t made any announcements recently, and the weather looks naff. And, that’s the size of it. Talking about size, my 4 foot 11 inch beautiful partner is humming to Mumford and Sons in the background (as in ‘musically’ – very loose definition – not stinking). That makes me very happy. And, then, I suddenly got it. I realised I have all I could ever dream about – I have #TeamDurky. I have the foundations to build blogs to, hopefully, share our joy and bring a smile to the face of any reader. To help to show that, I pray, everyone has something to be happy about. Anger isn’t me. I know I’m a grumpy old git, I have a face like a slapped bottom half the time, and I need to turn that frown upside down. But, I’m not angry. I just need to be me. Be the me that I know I am. I spent so much wasted time trying to ‘fit in’ to a belief system that wasn’t me. The Devine was an 80s singer – in my world, and I know I walk like a man and I certainly think I’m a man. But, I also appreciate the Devine means something to others. As the song goes, I’m a family man and I love being just that. Family extends beyond the house, family extends so much further. It was awesome to see just that at The Wee (4 11) One’s party in the summer. Such a wonderful day and to see the family in all of its glory. It was a joy to step back and just revel in what we have around us, but to also realise this is me. And, that’s the point; the reason for these words is to celebrate that we can enjoy just being ourselves, and the need not to try and change into what others want you to be. Or is that what you think they want you to be? We are all born to be ewenique. Surely? Maybe it takes time to see the true ewe. Let’s face it, at school we try to blend in. At work we seek to be accepted. As we develop friend groups, we want to be liked. But you are ewe are u are you. That’s got to be cause for celebration. So are you going to be your unique self? Are you going to say no to following the sheep around the field of life and decide to be the beautiful ewe. It’s so good to realise that you can be the bewetiful you, not to be the person you’re being told to be. As Hootie And The Blowfish once sang, ‘Cause they don’t look like you’. We are all different, after all. It’s good to realise there are 57 varieties – and more – and you don’t have to be any. Be ewe, be you, be u. Be an inter galactic being? That’s your choice. I’m sure there’s space out there if you take that option. As I’ve said earlier, and in many blogs, I / we in #TeamDurky love music and I want to close with possibly the most powerful lyric I have heard for a long time – “Can you live a life worth dying for?” (Tom Searle / Dan Searle / The Architects). Think about it. Beard – tick; #TeamDurky – tick; Pictures of me and you – tick. Who the hell wants to be a millionaire? If you were asked a killer question and your life could change if you got the answer correct would you phone a friend to help you answer it? What if you got it wrong, would you ditch that friend because that promised change won’t happen? What if that change would have made your life worse – but that wasn’t explained when you were asked the question? How bad would you feel for ditching that friend? Would you go grovelling back? Tough one because, let’s face it, you blamed them for getting your question wrong. The question which, as it happens, could have dropped your life right on its head. Welcome to a phew from the ground – because, hopefully, the above scenario has not happened to you. However, how many of us are continually striving for that golden ticket, without knowing where that golden ticket will lead you. As Audrey knows too well, I’m in a very reflective state of mind at the moment. Why? Well, in all honesty, I can’t remember being this happy. Looking back on the last couple of weeks – 3 gigs (Jeff Lynne’s ELO, and The Editors + Talos twice – get on I-Tunes and start downloading – or via other music outlets), and plenty of time with Aud, Ben, Liv and Gaby. Marvellous! As I’ve talked about in previous blogs I’m lucky and I know I am. And for that I’m grateful. To define lucky would be a blog in itself and, to be fair, everyone’s definition is a personal thing and it’s relative to where your head is and to what your ideal state of happiness is. If you’d asked me 3 years or so ago to define lucky it would probably have involved winning the lottery, buying a place in Spain and living ‘happily ‘ every after. Probably whilst drinking myself into an early grave. Don’t get me wrong, I still dream of spending a lot more time in Spain but the journey to get there (pardon the pun) won’t involve a bag of cash landing in front of me. And, it won’t involve living like every day is a holiday. It will involve achieving the dream through my own endeavours, and then celebrating every day as a gift. And it will involve new discoveries every day and creating wonderful memories. And, so, reflections abound and I’m learning it’s good just to sit back, be in the moment, and take time to tick the list of what’s good in life. I’m lucky, I’m surrounded by talkers. Get #TeamDurky around a table and the talking never stops. Of late, a lot of that talk has been around the great things we have experienced in the year. As I’ve said before, it’s good to talk. As the song goes, all the small things. The small memories, they’re the things of the greater value for me. In this state of reflection, the walks and talks with Ben, the evening meals at the table with Liv, standing in the sea with Aud. the many memories making up a life, as it is right now. Just think about the food that we are lucky enough to enjoy. But, if you looked back on your best memory of the year, would it be – for want of a better expression – a posh blow out or something like a smorgasbord of cheeses to nibble on with others? My memories are certainly in the latter camp. Cheese and assorted biscuits- tick; family / friends – tick; conversation – tick. Perfect! Aided, of course, by a cheeky red wine or beer. And that’s the trick, we do strive for the perfect happiness. The level of happiness which is good for our health, and the health of everyone we come into contact with. When we achieve that level of happiness, it bounces out of us to others. It radiates, without going all weird. But, does achieving that level of happiness have to be gained from winning the lottery or can it be achieved from appreciating what you’ve got? From looking at what you’ve got and realising how rich you are. As I’ve said, wealth is a plentiful supply of a particular desirable thing. Desirable thing? So, if we have the ability to have perfect happiness by appreciating what we have, surely that means we are wealthy. It’s taken me a long, long time to get to this place of realising what true wealth is. I guess I’ve lived for so many years in that dumb place of believing a stack of money was the source required to be happy – build that extension, get that car, buy that property in Spain, do this and do that, blah, blah, blah. If you can imagine it, you’ll achieve it. Well, what I achieved in that state of mind was abject unhappiness and the opposite of a stack of money! However, through #TeamDurky (and that includes all of the family and friends who I have mentioned before), I know better and, to paraphrase another song, what a wonderful world. Thank you for being with me as I’ve reflected like a man in a mirror (another song). Maybe sometimes, to quote one of the best bands around at the moment, “believe enough to lose control” (Slow Readers Club – get downloading, you’ll be glad you did. Incredible band). No disrespect but, that’s the truth. Living for the day. Living in the present. Living, loving, laughing likes there’s no tomorrow. So, here we go on another view from my park bench at the world. The world I live in; the world I watch; and the world I wish it could be. Welcome. Thank you for taking a seat with me. I hope you join me in fine form, and that your life is good. I hope you have found your place of peace, happiness, love and that positivity surrounds you. As I have said in many blogs before, my reasoning for write these periodic blasts of words is to share a journey that I have been on for over 2 years now. A journey I am lucky enough to travel as part of #TeamDurky. What is #TeamDurky? Who are #TeamDurky? Well, if you take a wee peak at www.viewfromtheground.co.uk, you’ll learn about us and, if your personal journey has shades of darkness and some sadness and confusion, hopefully the blogs will bring some happiness to you. In brief, the core is me, Ben (son), Liv (daughter), Audrey (aka The Wee One, partner), Gaby (Ben’s better half), Ringo (dog), Zeekee (cat), and a wonderful cast of family, friends, and other pets. The blog could easily be a roll call of the incredible people who are always there for us and, I hope they know, that we are there for them. A rather scatter gun start to the blog but then, there’s not real structure to the blogs. I write from the heart and basically the words flow once I get started. And there’s nothing like been in the flow once you get started. A blog title is usually plucked out of thin air and I always try and start and finish the blog around the title. However, the bit / or lot in between is whatever springs out of my head. Over the last 12 months I’ve endeavoured to focus on the positive thoughts rather than those which I guess weighed me down for so long – culminating in, perhaps, some blogs that I look back at and think they could have been …………………………… a whole lot worse had I not had the love of #TeamDurky. Life’s a blast really, when you peel away the restrictive forces such as the need to work to live. But, thankfully, I work with good people and I’m lucky. It’s the bit when you’re in your own space that’s the real blast and I am truly lucky that I now get the opportunity to spend that time with people who want me to be me. Surely that’s what life should be about? Being the person that you truly are? Not a person that others want you to be? Equally, not a person created in your mind. Just the true good old you. Thankfully, and that’s a big thankfully, Audrey has ripped the real me out of the shadows and unleashed the middle aged child on the world. Ben and Liv have always encouraged the dafter side of my personality and that has been a wonderful distraction from other stuff. It’s now truly beautiful to be with Audrey, who is such a good soul. Liv likes to describe Audrey as being pure. I know what she means. Audrey wants to see the good in as much as possible. What a wonderful way to look at things. Audrey also likes to laugh …………………. at everything. Say ‘cheese’ to her in an unsuspecting moment – hysterics. Random comments with no relevance to anyone else, 5 minutes of laughter. This just releases that inner child from the old grump (that’s me, by the way. Just in case you were confused). So, now, that inner child relishes applying spray deodorant just as Audrey walks by. 99 out of 100 contestants would shove a red hot poker from where my sun doesn’t shine. The Wee One? Doubled up laughing! And, thus we come to the blog title. I keep questioning some of my pranks / tomfoolery as in should I really be doing this at my ripe old age. I’ll let you guess what that is 😀. But, ultimately, why the hell not. Life’s way, way too serious. Now, I know I have a face like a slapped ar5e but, inside, I’m like a human bottle of Moët just waiting to pop …………….. as it were. The world is a serious place. Every time you look at the news; the 24 / 7 news, it’s bad news. People being killed – natural disasters, genocide, terrorism, you name it. Delusional world leaders – the whole lot of them, Canada excluded. Plenty of stuff to distract us from our life purpose – to enjoy life! So, the decision is made – with the encouragement of #TeamDurky – unleash that child. Inner child? Probably more the caged child, left in the wilderness through past sadness. Jump in the sea and splash the sea? It might look daft to some but it’s liberating to me. Hide round the corner at the supermarket and leap out on Aud using my newly acquired air horn app on my phone. Childish? Young at heart and fun to me. There are so many, some a bit personal for a blog but they all just point towards having fun and allowing that young spirit to soar like a liberated bird. I’d strongly recommend trying this. Although, sorry, Audrey isn’t available as a child unleasher. I need her but I’m sure everyone can find their own way of being able to look in the mirror and say – what’s my age again? To finish, I saw the following anonymous quote which really resonated- “The smallest light shines in the darkest night”. I would like to think that the blogs can be a small light on a dark night when you need something to shine. Shaggy put it all perfectly when he said ‘it wasn’t me’. Well, it wasn’t, was it? It never is. Is it? It certainly wasn’t me. And, so, we begin to view my grounded mind in the hope of finding who it was. Life’s a blast, isn’t it? We’re lucky to be gifted the first breath of the morning, and to continue to breathe throughout the day until it we allow ourselves to close out the world at the end of the day, in the hope that we will awake the following day to celebrate we are still breathing. One of my favourite Green Day songs, and a moment from their show in Leeds in 2017 that I’ll never forget. Singing loudly to the song, and meaning every last word. I’m still breathing. But, breathing on my own? Not so much, but it would make the song very long and hard to get each line to link if I listed the cast of many that help me to breathe everyday. To start with, yes I can find words to rhyme with Ben and Liv, but …………… Audrey? It’s strange how my head works. This blog looks like it’s going to be a sandwich – 2 slices of It Wasn’t Me, with a Still Breathing filling. Maybe something on the side? That would be very nice thank you, but perhaps not in public. So, the filling. Still breathing. A subject explored before but, in reality, do we celebrate breathing as much as we should. Let’s face it, if it’s taken away you’ll never be able to celebrate again ………… celebrate anything, that is. 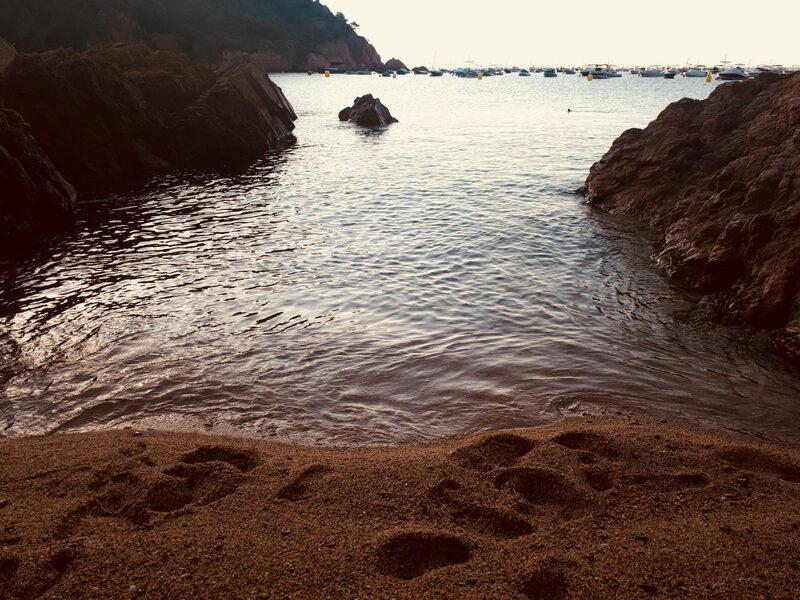 On a recent trip to Ibiza to celebrate the most incredibly stunning marriage of my awesome nephew, Matthew, to the beautiful Sarah, Audrey and I practiced an exercise of celebrating the use of our 5 senses in specific instances – normally on an early morning walk. We never quite got onto the sixth sense. I think we’d left that on the fifth dimension somewhere, which we had visited at 14:44 or was it at 11:11? By the way, how do you spell epiphany? Do we really appreciate how we can enjoy the 5 senses in almost everything we do. If we just appreciated the joy that they all bring us. So many sadly can not enjoy the sight of trees turning colour in autumn (or the Fall); too many can not hear the sound of birds singing. Then, there are those who can not enjoy taste, smell or touch. Just think, do we really understand how lucky we are when we can experience all five. So, on our Ibizan walks, Audrey and I loved the view of the boats bobbing on the Mediterranean, enjoyed the sound of the waves lapping on the sand, relished the feel of the same sand on our feet, whilst smelling the fresh sea air and tasting a romantic, dream filled kiss under the sun risen sky. And that’s just one example. We are so lucky! Still breathing! So, that’s the filling but we haven’t even explored the slices of It Wasn’t Me. Well, here’s a subject – denial, and I’m not talking about jumping into an Egyptian river. Denial – the definition (as in failure to admit) – ‘a state in which someone will not admit that they have knowledge, responsibility, or feelings’. It wasn’t me. Or, it was your fault, actually. Aka the act of denying responsibility for an action that was wrong, because you were never challenged about it. I guess we are in a world going through a monumental shift towards denial. Look at our world leaders. Putin denying sending secret services to the U.K.; May denying she has messed up Brexit; Trump ……………. well, where do you start. But, we shouldn’t take their examples as the way to behave. So, when you hear someone say ‘it wasn’t me’ when challenged about something, and the blame is laid at your door, tell them to grow some balls and just accept they were wrong. I feel like starting a Honesty Movement. Let’s face up to our truth in a way o ur truth is not morphed through a process of instilling a feeling of wrongdoing in another person. Let’s stand up and be counted. It could start by accepting you were the one who left the fridge door open, rather than asking who the last person was to go in it. Think about it. Think about a time when someone has suggested you were in the wrong for something they were responsible for. Now, next time you see that person, promise yourself you’ll tell them ‘it was you’. I know I will, that’s a promise 😀. So, there you have it. A bizarre sandwich of some floppy it wasn’t me, with a substantial filling of still breathing. I hope you enjoyed the read. I place 2 disclaimers on my blogs – 1) I take all responsibility for the typos, it was me. I just type out what I’m thinking but sometimes makes mistakes; and 2) the blogs are written from the heart and, yes, tinged with personal experience. They’re not meant to offend but, hey, if any words offend anyone – sorry. As I said, life experiences have shaped the words. So, I guess, if the words offend, then perhaps ask why. Have a great life. See it. Hear it. Smell it. Feel it. Taste it. And, when you do, remember, it was you. “We have to allow ourselves to be loved by the people who really love us, the people who really matter. Too much of the time, we are blinded by our own pursuits of people to love us, people that don’t even matter, while all that time we waste and the people who do love us have to stand on the sidewalk and watch us beg in the streets! It’s time to put an end to this. It’s time for us to let ourselves be loved.” ― C. JoyBell C.
You know that feeling when you wake up and your first thought is “what the f**k?”. Welcome to this morning’s View From The Bed. As is usual, I wake up – and for that I am extremely grateful. The sky is grey, the breeze a few degrees less than it was a month ago, the bed contains just me. Audrey’s back in Harrogate, being a wonderful mum, and Ringo is downstairs. Zeekee is somewhere else. So, I’m just laying here thinking “what the f**k?”. My routine walk through social media has posed more questions than answers. Are Leeds Rhinos going to win today? That’s anybody’s guess, the way the team are playing. Does Boris Johnson want to be the next PM, as he pitches in with his post Brexit doomed mongering again? Make you own mind up. If he dies and he succeeds, god help the U.K. We’ll just move to Scotland, vote for independence and live happily ever after. Will the U.K. government ever wake up and realise we need to throw money at the police force to help tackle the worsening crime rate? Of course not. Their leader is far happier rigidly dancing like some smiling freak. Empaths are a very special type of human… (from a Facebook group) What’s an empath??? Definition of an empath – ‘(chiefly in science fiction) a person with the paranormal ability to perceive the mental or emotional state of another individual’. Hello! It says science fiction. “The meaning of life is just to be alive. It is so plain and simple. And yet, everyone rushes around in a great panic as if it were necessary to achieve something beyond them.” – Alan Watts. AT LAST! An answer to a question. In fact the answer to my waking question – “what the f**k?” And it certainly answers the questions raised by everything else I’ve read on social media. We wake up and, most of us, worry. What’s today going to be like? Have I enough money? During the week, what hell will work bring? Is it going to rain? In Manchester, they don’t need to ask because it will. What shall I eat tonight? Are empaths a very special type of human? Rather than being alive we almost suffocate ourselves with questions. Some answerable but nothing to worry about, and some unanswerable so, what is there to worry about. We certainly shouldn’t worry about science fiction. Wait – how do you spell epiphany? I think we can easily worry about unanswerable stuff, try to achieve what doesn’t need to be achieved and forget to just be alive. So, my quest today is to breathe, to open my eyes, to hug those who I can hug, and to be alive. I don’t need to worry about the other stuff. Boris will do want Boris wants because he’s a first class, deluded fool (and we all know one or two who fall into that category don’t we); the U.K. government will do what it wants because it is littered with deluded fools (and we all know more than one or two of those don’t we); empaths? And, will the Rhinos win? I think I’ll just go along with the idea of being alive. And, so my dear reader to this Sunday morning blast of words. My mantra today ‘What The f**k. Just be alive’. Perhaps imagine being stood on a beach. But, let’s not lose the plot. Communication won’t let me down again. True! Such beautiful words from an awesome band. So sad the loss of the inspirational Chester Bennington and, I guess, there’s the starting point for the latest View From The Ground. I’ve just had 3 wonderful days at the Leeds Festival with Ben and Audrey (the plans are for Liv to come along, for at least part of it, next year). And, I’d better not forget that Gaby and her friend Emma made a welcome appearance. It’s such an amazing experience being at the Festival. A feast of music of the highest order. It’s great to see the age range expanding at the Festival. It’s the 14th Ben and I have attended, and Audrey’s 4th, I think. It’s incredible to be amongst over 70,000 people united by music – of so many genres. Rain or shine, and it did both, the crowds gather together to bounce along and around like nothing else matters. And for those few days it doesn’t. It was very poignant this year as Sum 41 we’re playing. The very first band that I took an 8 year old Ben to see. 15 1/2 years ago, we still remember his excitement, tinged with slight nervousness about whether it was going to be too loud 😀. Still a beautiful memory. And on the same day, Mike Shinoda was playing – of Linkin Park fame, the first headliner Ben and I saw at the Leeds Festival in 2003. As I’ve already referred to, the wonderful Chester Bennington was lost to his family, friends, band mates and the world of music in such sad circumstances. So, when Mike sang In The End, accompanied by the thousands in the crowd it was a highly emotional time. So, so sad. However, an added bonus of the day, and Festival was when Mike joint Sun 41 for an energised version of Linkin Park’s classic, Faint. But, it’s the loss of Chester Bennington that has prayed on my mind. A man with everything, but everything was not enough to stop him taking his own life. Of course, Chester is one of too many who feel that they can not deal with their troubles and sadly decide to take the worse possible option – and one from which there is no second choice, unless the person is lucky and found before it is too late. We all read of too many tragedies like this and I’m always left wondering what we can do to help people before it is too late. I know I’ve written about it before but I really believe that talking is such an important release of the poison that can effect our minds. I’m not saying this is the solution to all ills, but I’m just throwing it out there was a possibility. In the last blog I wrote about my concerns about 24 / 7 news. I really worry at how that poisons the mind. Just today, in the U.K. news there’s trouble brewing with Russia; The Trump was internal battles – I mean with his people, not his inability to be rational; a beautiful BBC presenter has lost her battle with the evil that is cancer at the age of 40; restaurants might have to put the calorie count on their menus (WHAT? We kind of know that a cream based dish is going to add a few pounds); and Brexit is just a pain in the ar5e. And then we wonder why people are perhaps struggling. Finances are tough, global warming is paraded before us, terrorism looms. And then, you walk throw your nearest city – there are more and more people sleeping on the streets; more high street shops are closing; security bollards are erected to stop the evil of terrorism and so on. It is enough to get you down, but let’s not forget. We woke up this morning – the greatest gift of all. That’s a starting point to celebrate. Everything else we see, read, feel, experience is secondary. But, where they become a threat to our daily life, we shouldn’t hide from them. We should talk them out. In respect of many of what I have highlighted, in reality what can we do about them – individually. Yes, we should be vigilant against terrorism; we should be environmentally conscious in relation to the planet; we should try and help those on the street – starting with food, drink, conversation, inclusion, and moving on to speaking up and getting the government to do more (that’s more that what has recently been announced in the U.K.). But, what can we do about Russia? What can we do about The Trump? In the U.K., what can we do to stop Teresa May dancing? And, let’s not forget, those bl00dy restaurants who put calories on the menu. Let’s compete with our dining companions and select the meal with the most calories. Stick it to them. Down with celery sticks and up with mozzarella sticks. Down with salad and up with steak with peppercorn sauce, triple cooked chips and lots and lots of lard! Of course, I say the above with my tongue placed firmly in my food filled cheek. Let’s talk talk and talk some more. As they say a problem shared is a problem ……………… shared. But, I guess we all worry. We all carry some concern for things. But let’s reach out and don’t let lack of communication let us down. And, so, this is where I will in fact stop talking. For now. Thanks for taking the time to stop by. I really appreciate that people take the time to drop in on the blogs. I hope you enjoy them. They always come with the disclaimer of never meaning to fend and apologies for the typos. This one is been finished on a train journey from London. And a great big welcome to another view from the ground. Another day, another bonkers news story. Imagine a world where your only exposure to news was TV news twice a day and / or your easy to read broadsheet newspaper. Imagine! Well that’s the world I grew up in. Three TV channels – news at 1 pm (when I was at school) and 9,00 pm on the BBC, at the legendary 10 o’clock news on ITV with the infamous chimes of Big Ben at the start. I chose – or more a case, my mum and dad chose what I watched. And, once a TV channel was selected, that’s what you watched. To change it you had to get up and change the channel on the TV. As for newspapers, any look at them was at the weekend AFTER dad had read them. And then, in the main, it was a quick look at the Sports news. How did we fill our days? Not a 1,000 channels to wade through; no 24 / 7 news; no PS4 or whatever; NO social media or internet; no raving bonkers world leaders …………………….. well, let’s take a rain check on that one. And, so, we walk unaided into what I want to explore in this wall of words. It’s something that I have written about before but, I’ve been inspired to raise this again. Mental health problems affect about 1 in 10 children and young people. They include depression, anxiety and conduct disorder, and are often a direct response to what is happening in their lives. Of even greater concern is 70% of children and young people who experience a mental health problem have not had appropriate interventions at a sufficiently early age. If you don’t believe me, have a look at www.mentalhealth.org.uk, the source for my information. It’s incredibly worrying and it’s something which needs dealing with and, certainly, an issue where awareness needs raising. And this is where a brilliant group of young folk, including Audrey’s wonderful daughter, Eilidh, are looking to get involved. To raise awareness of the challenge that is faced by children and young people with facing up to the real life problems that they face every day. Eilidh and her group have embarked on the NCS programme. For those that don’t know, NCS (National Citizen Service) is a phenomenal UK initiative aimed at 15 to 17 years-old to build skills for work and life. Over 400,000 young people have already signed up. Thanks to government backing (yes, the U.K. government have done something good), the maximum cost to participate is £50, depending on a person’s circumstances. NCS exists to help tackle some of the biggest social challenges in the U.K.
Social cohesion – to bring the U.K. together by building stronger, more integrated communities and fostering understanding between young people from different backgrounds. Social mobility – to build essential skills for life and work, investing in future talent. Social engagement – to engage young people in social action in their communities and the democratic process, building their understanding of their responsibilities as citizens. Yes all of the above information is courtesy of the NCS website – https://www.ncsyes.co.uk. If you’re interested, take a look. Liv did the programme a few years ago and I can’t speak highly enough about it – and those who work with the participants. Anyhow, back to the purpose of the blog. Eilidh and her group. One of the pieces of work the participants need to complete, in their group, is to undertake a project which contributes to their community. They have selected to raise awareness about mental health issues faced by children and young people. They are planning to raise money to donate to the local MIND branch in Harrogate who do such magnificent work with those who need somewhere to go for support, guidance and understanding. When I heard what they were looking to do I could only look and admire. As stated on the mental health website, the emotional wellbeing of children is just as important as their physical health. Good mental health allows children and young people to develop the resilience to cope with whatever life throws at them and grow into well-rounded, healthy adults. Most children grow up mentally healthy, but surveys suggest that more children and young people have problems with their mental health today than 30 years ago. That’s probably because of changes in the way we live now and how that affects the experience of growing up. Think back to my above observation about the ways I could access world news when I was young. Mostly things that happen to children don’t lead to mental health problems on their own, but traumatic events can trigger problems for children and young people who are already vulnerable. I have a real belief that the ability to access news 24 / 7 can contribute to the worry that then adds to a potentially vulnerable mind. Social media is a window to all kind of wonderful information and new friends but it can also be the edge of a precipice for someone who is low on confidence and open to on-line bullying, or worse. Think about the nonsense that is being trotted out at the moment by Donald Trump in the USA and Boris Johnson in the U.K. Think about the poisonous effect that their words have on people. Their words are splashed over every possible media outlet, with the beliefs of the writer included. Hate, worry, hate, worry. It can eat at the mind if care and balance isn’t brought in. And then life changes can take effect – moving home or school. Some start school feeling excited about making new friends and doing new activities, but there may also be some who feel anxious about entering a new environment. Teenagers can also often experience emotional turmoil as their minds and bodies develop. An important part of growing up is working out and accepting who you are. Some young people find it hard to make this transition to adulthood and may experiment with alcohol, drugs or other substances that can affect mental health. There is so much that children and young people see these days that just seems worse than I remember. It can breed true anxiety. Homelessness – on the streets of every major city. Could it be me? Terrorism – Manchester, Barcelona, Paris, Berlin, London to name just a few. Could that have been me? Brexit – so little is understood. And that’s just by the idiots negotiating on our behalf! Illness – everything we do, eat, drink could cause us harm? That’s just a few things but we need to wake up, stand up, look and be ready to help. It’s real! So, the call to arms by Eilidh and her NCS group (including the also wonderful, and smiley, Tash) is magnificent. But, they need you! If you want to help by sponsoring a walk they are doing in onesies, enter a raffle to win a rather nice prize, or fund other ways to contribute and in turn support MIND, read on. The idea with the sponsored walk and raffle is to raise money to then hire Everyman cinema in Harrogate for 2 films and the profits go direct to the fund raising efforts, i.e. MIND. I can hear the screams of ‘how can I donate?’. Bless you – you can either do this by their Instagram page – @harrogatecinemind, or drop me an email to jonlduke@icloud.com and I’ll put you in contact. This is an inspirational initiative and I really hope it receives the support it deserves.